Dental Veneers in Brandon: Who is a Good Candidate? | Larry Saylor D.M.D. 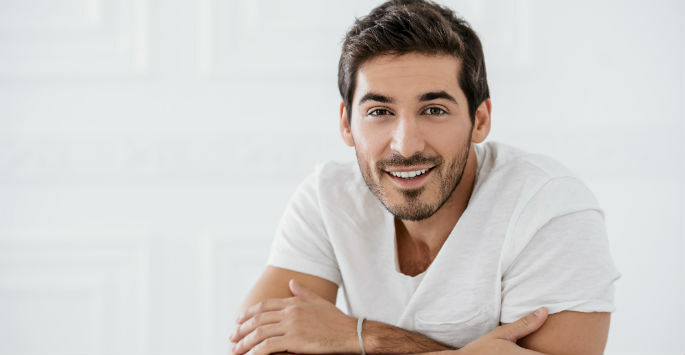 Dental Veneers in Brandon: Who is a Good Candidate? Here at the office of Larry Saylor, DMD, we want to make sure that our patients have something to smile about. That’s why we offer dental restoration procedures and advanced cosmetic dentistry which guarantees quality and long-lasting results. For instance, we offer dental veneers in Brandon to help patients with gaps in their teeth or misshaped teeth. In our opinion, good candidates for dental veneers can have any of the following qualities. You may be a good candidate for dental veneers in Brandon if you have dark or discolored teeth. If your teeth stains are resistant to professional whitening treatments, veneers will cover those stains, giving your teeth a completely new look. Excessive jaw clenching or teeth grinding can lead to shortened or worn down teeth. If you have worn down or short teeth, dental veneers can increase the length of those teeth and consequently improve your smile. Most people with mildly misaligned teeth are advised to get dental veneers because they straighten teeth that are out of position without braces. However, if you have severely misaligned teeth, other treatments may be recommended instead. Dental veneers are placed on your enamel. You will, therefore, need enough enamel to be a good candidate for veneers in Brandon. If you want to undergo any cosmetic dentistry procedure, it’s essential you have good oral health. This means you must have healthy gums and teeth. Dental veneers are recommended for people who practice good dental hygiene. Because these custom-made shells are placed over your teeth, it’s crucial you keep your teeth healthy with regular flossing and brushing. If you think you may be a candidate for veneers in Brandon, let our dedicated team at the office of Larry Saylor, DMD transform your smile. We can’t wait to help you on your journey to achieve a beautiful smile. Feel free to contact us today to schedule your initial appointment in Brandon.